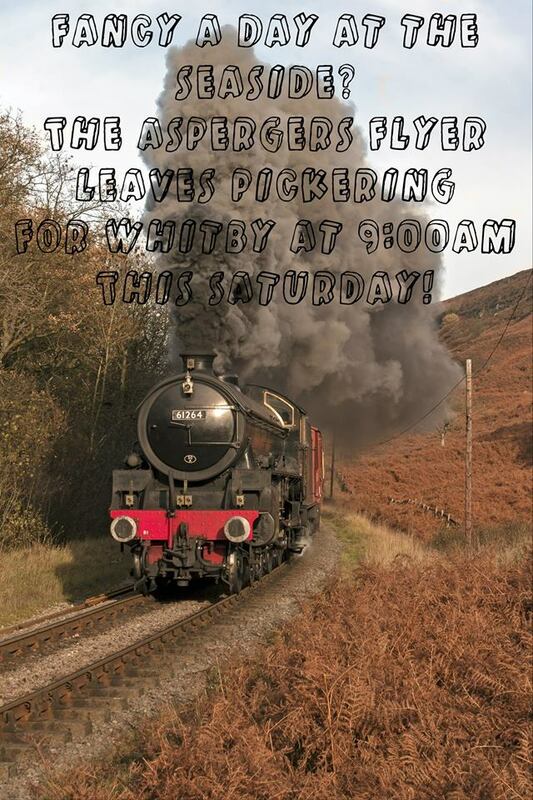 This weekend, the Asperger’s Flyer commemorates D Day! On Saturday 7th June, the Flyer will travel on the world famous North Yorkshire Moors. At Grosmont or Whitby, visitors wishing to upgrade to this exciting Esk Valley experience, running though to Battersby and Whitby, will need to change trains to travel on this fast-paced route along the main line, where the Flyer will encounter speeds of up to 45 mph. No other standard gauge heritage railway offers this unique opportunity and it is only available at the NYMR. These trains on the Esk Valley commemorate the withdrawal of trains between Whitby and Stockton and the line closure between west of Battersby through Stokesley 60 years ago It is expected that the services are scheduled to be worked by the B1, which is currently masquerading as 61034 Chiru. the identity of the loco that headed the last train. 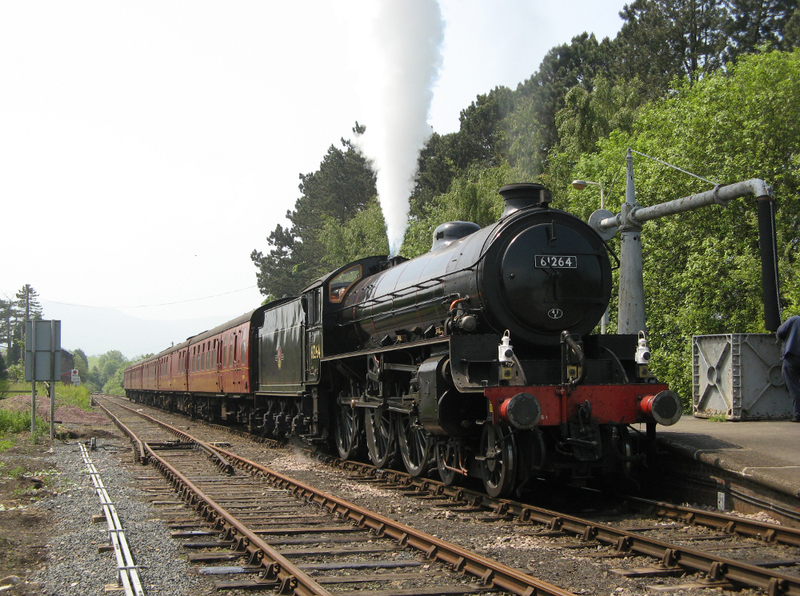 On Sunday 8th June, the Flyer shall travel to the Midland Railway Centre at Butterly to reflect on the Home Front with star locomotive, 6233 Duchess of Sutherland, known as Britain’s royal engine, joining the ranks of locomotives who have pulled the Flyer! This weekend is also the 70th anniversary of D-Day, so why not commemorate it with the Flyer on June 7th and 8th! In other news, The event at the Kirklees Light Railway was an outstanding success, with the image above from the Flyer at the Kirklees Light Railway with Oliver and our new Head of Community Development and Marketing, Megan Crossley. And finally, the Flyer was extremely proud to be able to present the Vintage Carriages Trust with the amazing painting, ‘Sir Berkeley Heads The Flyer’, which was donated and painted specially by Guild of Railway Artist member Nick Harling, as seen below. It certainly is an outstanding painting, and the charity looks forward to working with Vintage Carriage Trust in the future. And remember, the first train leaves Pickering at 9 am on Saturday. Make sure you have finished your breakfast tea before the guard blows the whistle! 04/06/2014 in 1306mayflower, Asperger's flyer, North Yorkshire Moors.